We’d like to thank you for your time in visiting this website and learning more about what we are doing in the Dominican Republic. 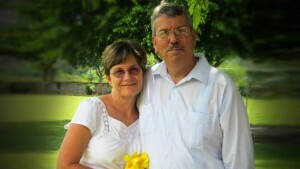 We are Mitch and Debbie Martinez and have been working as missionaries in the Dominican Republic for 23 years. We are church planters, and educators. We have networked here with various volunteers and missionaries in the past to accomplish various projects for the kingdom of God. Deborah is currently overseeing much needed educational programs including a private school (La Vega Christian School), and various Haitian day schools in poor communities. We have also been involved in over thirty construction projects; providing new sanctuaries, schools, and annexes. We have a TV production studio which has produced a TV program called Consejo De Vida (Counsel For Life). The program deals with problems that affect families and society and always offers a solution starting with Jesus Christ. We have also produced various ministry promos and videos. We are involved in helping various other on-going ministries and outreaches. Mitchell P. Martinez also serves on the boards of Teen Challenge, Santiago (Desafio Juvenil), the Concilio Evangelico de las Asambleas de Dios, Your Missionary Outreach, La Vega Christian School, Seminario Biblico Vegano, El Puente Coffee House, Asn. Alcance Misionero, Instituto Biblico Central de las Asambleas de Dios, the DR AGWM Missionary Field Fellowship, Unidos Por El Concert Events, Latin Media Ministries, DominicanMissions.org, and La Iglesia Internacional de La Vega. Deborah D. Martinez is on the boards of La Vega Christian School, DominicanMissions.Org, The Ruthie Martinez Children’s Fund, Assn. Alcance Misionero, Comite Misionera Presbiterio La Vega/Moca, El Puente Coffeehouse, and La Iglesia Internacional de La Vega. We moved to La Vega in 1992 with our five children. They are grown now and currently, we have 11 grandchildren. Our desire is to serve the Lord in whatever way we can.